A native Georgian, Carl has long had an interest in American history, especially that of the southern states. His father, the late William Lester, who also had a love of history, particularly the Civil War period, encouraged his son in that interest. 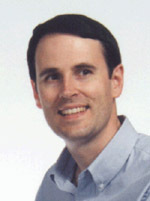 A Chemical Engineering graduate of the Georgia Institute of Technology, Carl worked for a number of years in nuclear power generation before embarking on his current position as a Materials Engineer in the nation's aerospace industry. There he has led several multi-million dollar materials development programs. Thermal insulation materials for which he was responsible are currently flying on the Space Shuttle. Other space vehicles that have or will make use of one of these materials include the Air Force Titan IV missile, Boeing's Sea Launch satellite delivery system, and Boeing's Delta IV launch vehicle. He credits his father with getting him interested in coins, during the silver and gold boom of the early 1980s. Initially specializing in GSA-packaged Carson City silver dollars, due to his roots he naturally gravitated to the gold coinage of the Dahlonega Mint. He purchased his first Dahlonega gold piece in 1982 and has "had the fever" ever since. A "true collector," he focuses as much on the underlying history as he does the coinage itself. He loves lustrous, "original" pieces with a story behind them. Among his holdings are numerous "pedigreed" Dahlonega pieces, including examples from the collections of Harry W. Bass, Jr., Amon G. Carter, Jr., Gaston DiBello, Louis E. Eliasberg, Sr., King Farouk of Egypt, Billy B. Fuller, the "North Georgia Collection, " Ambassador R. Henry Norweb, Sr., John Jay Pittman, James A. Stack, Sr., and George O. Walton. He also collects numismatic literature, now possessing a comprehensive Dahlonega Mint-related reference library. An accomplished writer, Carl has become a nationally-recognized authority on the coinage and history of the Dahlonega Mint. He has given talks on the Dahlonega Mint at major numismatic conventions and his writings have appeared in Rare Coin Review and Coin World. He was a major contributor to Gold Coins of the Dahlonega Mint, 1838-1861, by Douglas Winter, which won the 1997 Numismatic Literary Guild Award for "Best U. S. Coin Book." Carl also prepared the text for the full-color, illustrated history brochure which accompanied Hancock & Harwell's Limited Edition Print of the only-known, full-view photograph of the Dahlonega Mint. He wrote a history of the Dahlonega and Charlotte Mints, for inclusion in Heritage Numismatic Auctions' FUN 1999 Sale catalog, featuring the North Georgia Collection of Dahlonega and Charlotte gold coins. He has most recently played a major role in the development of the Gold Rush Gallery Web Site. Carl is a member of the American Numismatic Association, the Georgia Numismatic Association, and the Atlanta Historical Society, as well as being a loyal supporter of Georgia Tech football.